Astrotec is one of the earliest generation to be manufacturing cost-effective IEMs. Astrotec themselves consider them to be a rather unknown brand, though I’m quite sure that you may have heard about the brand if you were one of those that were looking for an entry level earphones from China. Well, at least I remember purchasing or getting curious about their old models back then, such as AX-30, AX-35, and Lyra 6. Astrotec wasn’t the fastest when it comes to releasing new products, but they’ve been patiently building up their reputation, as well as hardening their own characteristics. Now they’ve started gaining some good popularity with their new earbud models as well as AM850, their latest 1DD IEM. Then they introduced their flagship model – Delphinus 5. Let’s now take a closer look on them. Let me just say that their packaging got a whole lot colorful than before and I appreciate it. I rather don’t care much about box designs, but their box designs from the previous models were way too plain – straight up black or grey. As I open the package I see a quick user guide showing simple tips on how to use the IEMs. Besides the earphone itself, there are 3 pairs of silicon tips, 4 pairs of foam tips, carabiner hook, pelican-like hard case, and an airplane adapter. Big thumbs up to them for including a good solid case like this. In fact it’s better than pelican cases in terms of portability but since the size is a tad smaller chubby custom cables might not fit that nicely in these cases. Delphinus 5 is equipped with 5 balanced armatures with 3 way crossovers- 2 low, 1 mid, 1 high, and 1 super-high.The earpiece takes a similar path with their GX40’s design. It definitely looks more premium as I think GX40 went too far with that diamond design (you’ll know what I mean if you take a look). The earpieces are CNC’d with anodized surface, giving a similar yet a smoother surface – one of the most comfortable IEM I’ve tried in fact. The interiors are nicely curved unlike the outer side, so not much to worry about that. Isolation is on peek performance as it doesn’t have any vents on the shell. One thing that I must point out, is that there isn’t much space around the MMCX connector, means that your cable might not work if the gold component of the male MMCX connector isn’t sticking out from the MMCX housing at all (as picture shown), they may not be attached or get slightly tilted to the side. This is the similar issue I’ve seen from Fiio F9 (earliest version) which has been revised from their newer batch. But still, I’d call this as a minor problem as it works with majority cables nonetheless- F9 barely worked with any other MMCX cables due to its lack of space far worse than Delphinus 5. The quality of the stock cable is impressive to the point that you don’t need to grab an your custom cables. It’s equipped with 6n 4-core copper cable and also seems to have been specifically tuned to show a good matching with the earpieces. I much appreciate IEM manufacturers that actually put effort on their stock cable since nowadays it appears to be common for manufacturers to just throw in cheap and thin cables that we often see. Now for the sound. Bass is rock solid, however controlled. It approaches fast and then decays with an adequate amount of resonance. Delphinus 5 patiently delivers its thick and high density bass, clearly exposing that deep bass texture without getting too boomy or overwhelming. Ultra lows are pretty decent for a BA IEM, not particularly outstanding but manages to expose it. Sub-bass has slightly more amount than Campfire Audio Andromeda and should be able to satisfy most users unless you’re a serious basshead or flat enthusiasts. Generally vocal highlighted IEMs feel like they shoot out mid frequencies and intentionally pulled forward. For Delphinus 5, mids are nicely connected with the bass and gradually builds up its approach to the upper frequencies, specifying a natural imaging. One thing that I’d like to point out from Delphinus 5 is its unicy. 5BA drivers show great coherency, acting as if they’re a single driver – so another plus to minimizing phase difference. Mids feel to be located in its natural position or slightly foward, depending on different tracks. The brightness feels to be slightly dim however has a natural temperature with a slight shine on the upper mids, so no need to worry about the sound getting stuffy. Sibilance range is seamlessly trimmed and stretches out to the upper mids without any turbulence or peaks – in fact it’s one of the very stable mids I’ve heard. The next thing I’d like to highlight from Delphinus 5 is how it presents the vocals. It continues that high concentration, oozing out mids that I’ve heard from AM850, their latest single 1DD IEM. 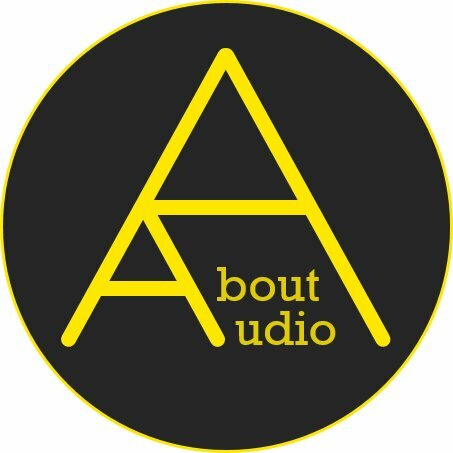 Those who tried Campfire Audio’s IEM (such as Orion or Andromeda) should be aware how the mids feel – well Astrotec follows the similar path since AM850. What I’m trying to say is that mids have slight resonance airiness. This slight resonance actually makes the mids to be sounding more realistic and properly exposes the vocals when the shout out. Airiness is definitely there, but not to the point where it brightens the sound. These doesn’t have icy refreshing mids, so keep that in mind if you’re into brighter sound. Treble takes a small step back while expressing all the details, as if it’s spreading out sound from the top. Treble here just acts as a minor pleasure, not taking any actions that particularly steps out or shows off. The amount is relatively less than low/mids, however it definitely catches all the small details without a problem, so you won’t find these to be lacking in terms of frequency range. While I had doubts on how Astrotec would manage to keep up with other similar priced products, Delphinus 5 turns out to be a worthy IEM. It’s evident Astrotec came up with their final result with putting much care, considering that not only this is their first full BA IEM, but also something that was far from their usual price range – which were all around $50-100 until now. Overall Delphinus 5 sounds smooth yet detailed, as well as having its own uniqueness where sound tends to spread out wide and full. It surely takes a different path than those linear sounding BA IEMs where reverbs are much limited. We’ll see how Astrotec will continue building up their premium family. At the moment I’m pretty glad they’ve done well with the first one. Thanks to Astrotec for providing Delphinus 5 in exchange of an honest impression/feedback. I am not affiliated with Astrotec and none of my words were modded or asked to be changed.